Yvette’s mother’s name is spelled wrong int he article. It is “Edith”. Yvette Cleage is my second cousin. I have not seen her since the 1960s when we both attended my father, then Rev. Albert B. Cleage Jr’s church. The church was then called Central United Church of Christ, now known as The Shrine of the Black Madonna. Yvette’s father, David Cleage, was my father’s first cousin, son of James and Josephine (Cleage) Cleage. James was the son of Jerry and Charlotte (Bridgeman) Cleage. 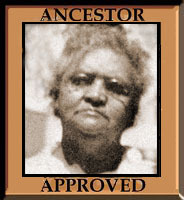 Josephine was my grandfather, Albert B. Cleage Sr’s sister and the daughter of Lewis and Celia (Rice) Cleage. 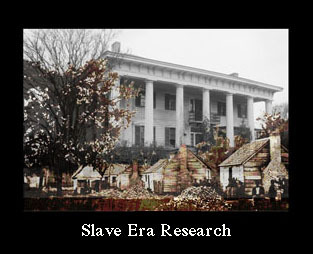 Lewis was the son of Frank and Juda Cleage. And there we are, back to the plantations of David and Alexander Cleage. 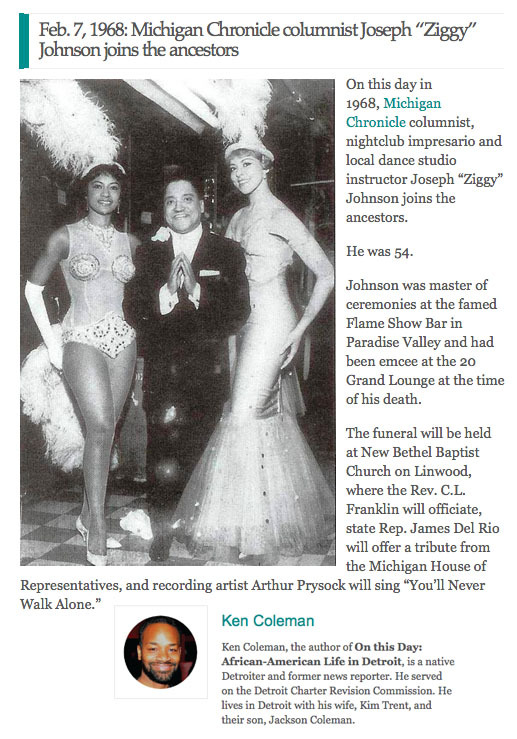 I found Ziggy Johnson’s obituary online at The Motor City Muckracker. I dunno what’s cooler – that his name is Ziggy Johnson or that the newspaper is called the Motor City Muckracker. They both sound like names from a cartoon strip. Also nice that you’re history is coming around full circle. Too bad he wasn’t a Cleage, it would have made my post for Z simpler. 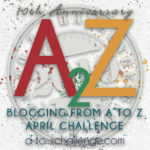 I can hardly believe it, but i have my Z post done and scheduled to post at midnight. Whew! Glad you found me even if it’s late. I’ll be here, just not posting every day! I’m with CD Gallant King on this I loved it! I love those days of the cool cats like Ziggy!